Mykita just released their first ever rock'n'roll shades named by its originator: BETH. 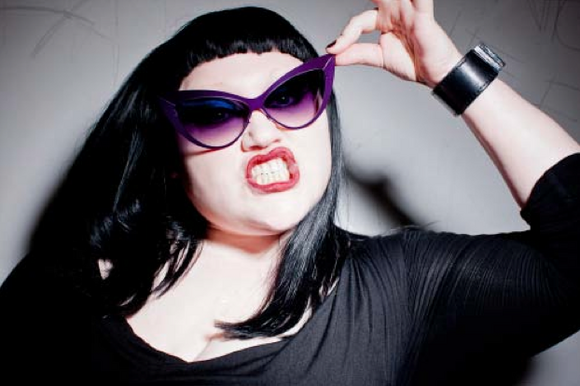 They teamed up with legendary Beth Ditto, most famous for her work as singer of the Indie band 'Gossip,' to create her very own pair of sunglasses. The glasses incorporate Ditto’s own distinctive style; the cut-out design and the colour make the frame a statement. BETH comes in purple and white versions with violet gradient lenses - in a limited edition of 100 frames per colour. Mykita also have a brandnew blog.